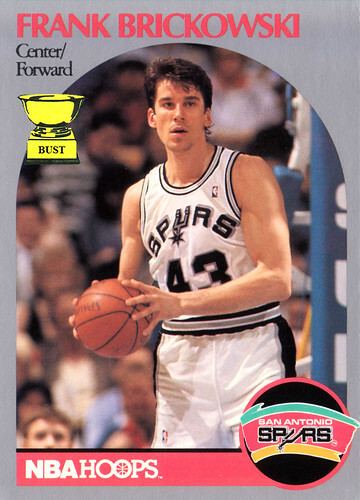 Time for The Caption, which possibly ran in the San Antonio Express sometime in 1990, maybe: "Spurs center Frank Brickowski looks confused while trying to inbound the ball during a rare on-court appearance Tuesday in San Antonio. Brickowski later said that he mistakenly checked into the game after mishearing coach Larry Brown, who was singing loudly to The Commodores' hit 'Brick House' during a timeout." I think he is looking to pass to George Gervin and wondering where he went.